“Tesla has exceeded its commitments, to the State of Nevada, in the areas if capital investment and job creation,” reads a new economic impact report released Wednesday by the Governor’s Office of Economic Development (GOED), Nevada. According to the report, Tesla had 7,059 employees as of June 30, 2018, higher than the 6,500 workers the state was expecting from Tesla. The total employee count could go further up because, by the end of June, Tesla was building a maximum of 7,000 vehicles per week, an annualized production run rate of 364,000 units – 27% less than Gigafactory’s planned production capacity of 500,000 units. What did Tesla promise to the State of Nevada? According to Tesla’s contractual agreement, Tesla and its partners said Gigafactory 1 would provide direct employment to 6,000 workers, with an annual payroll of $353,620,000, and a capital investment of $5 billion. As of June 2018, Tesla employs 7,059 workers in Gigactory 1, with an annual payroll of $379 million and capital investment of $6 billion. Average hourly wages at Gigafactory was $25.78, well above the statewide average of $22.54 per hour, but below Tesla’s projected average of $27.35 per hour. The report also noted that “Tesla had originally projected a $1.0 billion investment in buildings and $3.95 billion in equipment over the first four years of construction and operations”. But Tesla has invested more than $2.05 billion in construction and $3.99 billion in equipment. As of June 2018, Tesla and its partners Panasonic and H&T have spent more than 6 billion dollars in construction and equipment. In the first three quarters of 2018, Tesla said it has spent $604.1 million on Gigafactory 1. Tesla will continue to invest in Gigafactory 1 as the electric car maker ramps up Model 3 production over the next several quarters. 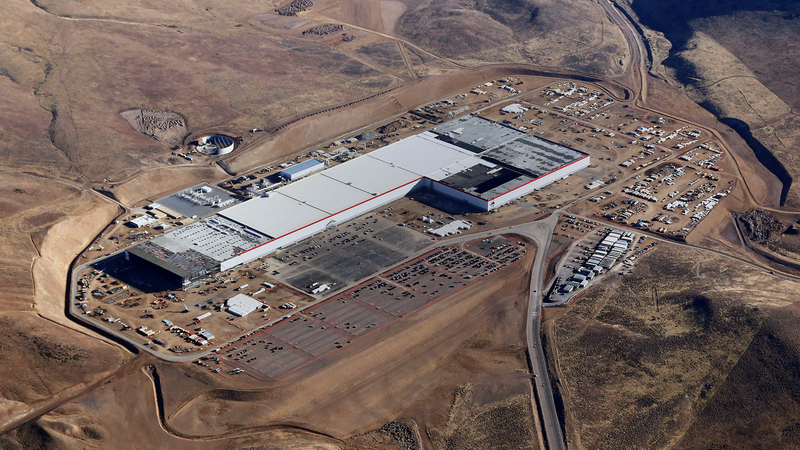 In mid-2018, battery production at Gigafactory 1 reached an annualized rate of roughly 20 GWh, making it the highest-volume battery plant in the world. “Tesla reached battery cell cost of less than $190 per kWh in early 2016 and the company expects costs to fall closer to $100 per kWh by the end of 2018. If achieved, it will be a near 50% cost reduction for every kWh. What prompted the 2018 Tesla Economic Development Report? Tesla has exceeded its commitments, to the State of Nevada, in the areas if capital investment and job creation. As of June 2018, Tesla has hired 7,059 employees to its original projection of 6,500. Capital Investment stands at $6 billion to its original projection of $4.95 billion. 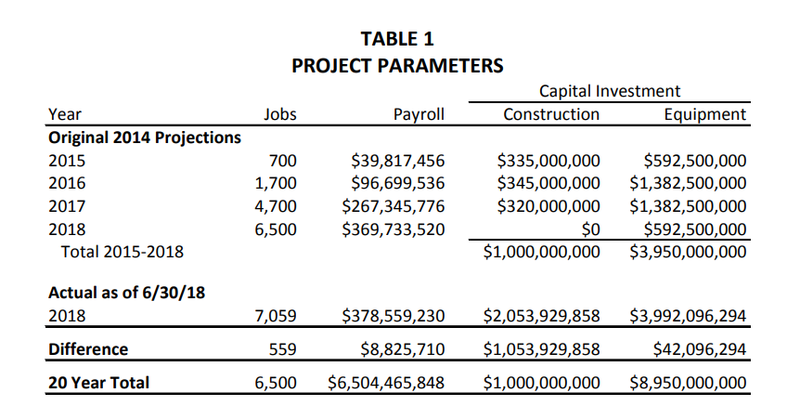 The Nevada Governor’s Office of Economic Development (GOED) commissioned the Economic Impact Summary to provide an update on the current impacts of the Tesla Gigafactory in Storey County and compare and contrast them to the original projections as outlined in the September 2014 study, Economic Impact of Tesla on Washoe and Storey Counties.